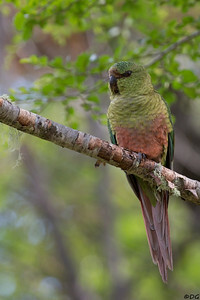 Austral Parakeet (Cachaña, Magellanparakit) at Peninsula de la Magallanes. The world's southernmost parrot. 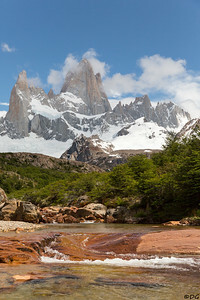 Fitz Roy from Rio del Salto. 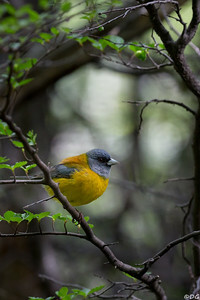 Female Patagonian Sierra-Finch (Cometocino patagónico, Skogssierrafink). 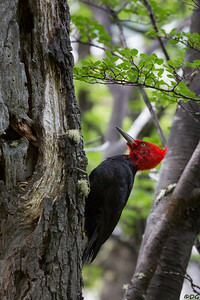 Magellanic Woodpecker (Carpintero Gigante, Magellanspett), one of the largest extant woodpecker species in the world, sitting in an Antarctic Beech (Ñire, Sydbok). 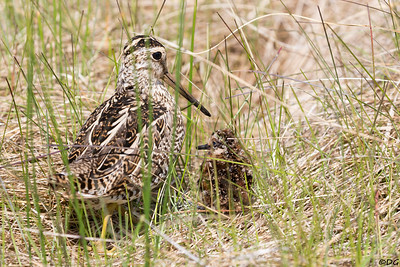 South American (Magellanic) Snipe (Becasina Común, Sydamerikansk beckasin or Magellanbeckasin) with chick at Laguna Nimes.